In an ideal world, you should be able to get all the nutrients and minerals that you need from the food that you consume on a daily basis. However, there may be times in your life that you need the boost which is provided by health supplements. Of course, you need to know more about the different options available. Just a few of the most common include fish oils, multivitamins, magnesium, vitamin D and vitamin B12. It is worth consulting with your doctor about the benefits of these various substances to you. So, here are a few of the most common times in your life when it may be appropriate to take health supplements. If you have had a blood test which shows that you have deficiencies in certain vitamins or minerals, you may want to take supplements as a way of correcting this imbalance. Your doctor will be able to advise you as to which ones are appropriate for your particular deficiency or deficiencies. Whether you have dietary restrictions which are caused by your health or a lifestyle choice such as veganism, you may not be getting some of the minerals and vitamins that you require. The supplements which you take may be able to fill in the gaps and help to give you the greater sense of balance that you are looking for. There are plenty of nutrients out there which have shown to play a major part in preventing birth defects and promoting the health of your baby. Your obstetrician is best-placed to give you direct advice about pre-pregnancy and pregnancy supplements which can play a useful role in the healthy development of your baby. As we age, our calorie requirements adjust and the amount that you eat can start to decrease. When this happens, you may end up getting fewer vitamins and minerals in your diet. Once again, this is where health supplements can play a role in picking up the slack. There are all sorts of medications out there which can end up leading to mineral and vitamin deficiencies. You can even end up being unable to absorb a range of essential nutrients. The best course of action is to work with your health professionals who will help you to select the right supplements for you. When you are deciding on which supplements to take, you also need to consider what other food you are eating which are a source of that particular vitamin or mineral. You don’t want to risk exceeding your maximum intake levels as this can end up having the opposite impact on the one that you were intending. As we have mentioned a couple of times in this article, you are always better off consulting with your doctor if you are at all unsure. Foods For Brain Health And How To Use Them. When it comes to nutrition, most of us think in terms of our bodies. We think about the food we can eat to relieve digestive discomfort or the meals we can plan that can help to manage our weight. However, it’s worth spending a little time thinking about just how much the foods we eat can influence. As well as our weight and our physical health, the foods we choose to enjoy have a direct correlation with the health of our brains. When it comes to managing your mental health and overall wellbeing, adding foods that have been proven to be beneficial to brain health could be extremely beneficial. Avocados have been riding high on the list of common food trends for a few years now, but there’s a good reason for that: avocados are incredibly good for you. They are rich in essential fats and fatty acids so anyone interested in boosting their brain health will want to incorporate avocados into their diet. If you’re new to avocados, why not give the recipe below a try? It’s a classic avocado dish — avocado on toast — but with a special twist. As with avocados, kale has become the go-to “superfood” for the past few years. And, as with avocados, the reason for the popularity of kale is genuine. Kale is rich in a number of vitamins and minerals vital for brain health, but there’s just one downside… it’s not the most appetizing of foods, is it? If you’ve previously shied away from kale due to dislike for its rather strong taste, perhaps these crispy kale chips could be just what you need to change your mind. Dark chocolate is chocolate that is comprised of at least 70% cocoa and, ideally, that number will be closer to 100%. Dark chocolate is rich in flavonoids, which have antioxidant and anti-inflammatory effects, which can be hugely beneficial to brain health. It’s worth noting that for those who have previously primarily eaten milk chocolate, eating dark chocolate can be something of a shock at first. However, when you’ve adjusted, you’ll come to love the crisp, bitter taste and enhanced health that eating dark chocolate affords you. Eggs may just be the original superfood. They’re inexpensive to buy; rich in a wide variety of essential nutrients, and there are a thousand different ways they can be used in cooking. If you’re looking to cultivate a health-friendly diet, then eggs will certainly have their role to play. As one might expect, eggs — and particularly their high protein content — have been linked with improved brain health, so they definitely qualify for a place on this list. Given the plethora of different ways that eggs can be cooked, finding an interesting recipe idea to include was tough… but we think this classic Spanish omelet recipe is a choice that will delight everyone. Omelets are a fantastic choice when you’re in need of a quick and healthy meal, and the extra vegetables used in this recipe help to provide an extra health and taste boost. Coconut oil has long been associated with mental and cognitive health; it has even been suggested as a potential remedy for those who have been diagnosed with dementia. Given the prevalence of dementia in society, the need for specialist nursing, and the impact the condition can have on lives, this is a tantalizing thought, but sadly, one that is without scientific proof at this point in time. However, while the jury is out on the benefits of coconut oil for dementia specifically, coconut oil does have all the markers of being beneficial for brain health in general. Coconut oil is high in medium-chain triglycerides (MCTs), which have been linked to enhanced brain health and memory function. Do you think you might be tempted to give it a try? Yes, humble beetroot has a huge role to play in human health. The nutritional profile of beetroot is full of vital nutrients, with manganese, B vitamins, fibre, and potassium all found in abundance. As a result of such a stellar showing in the nutrient stakes, it should come as no surprise that beetroot has also been linked with increased brain health. Incorporating beetroot into your diet is incredibly simple. Beetroot can be added to sandwiches, pasta dishes, omelettes, and any other dish in need of a bit of a kick. However, health-wise, arguably the best way to get its benefits is to opt for beetroot juice. You can buy this surprisingly-tasty juice in stores, but it tends to be expensive; if you have a juicer, then you should have no problem making your own. The food that we eat doesn’t just impact our physical health; it has a huge role to play in our mental and cognitive health also. By incorporating the foods above into your diet, you can be sure that your eating habits are providing health benefits and support where it’s needed most. Homemade Juices and Smoothies – A Click A Day. One of the decisions I made earlier this year is to reduce as much as possible, my families consumption of fizzy pops, KoolAids, Caprisun, Tang and all such drinks and to replace them with fresh, healthier options. Initially, it was not an easy sell to the children and Dear Himself. I heard a lot of moans and groans to start with, but it caught on right after the first trial run. 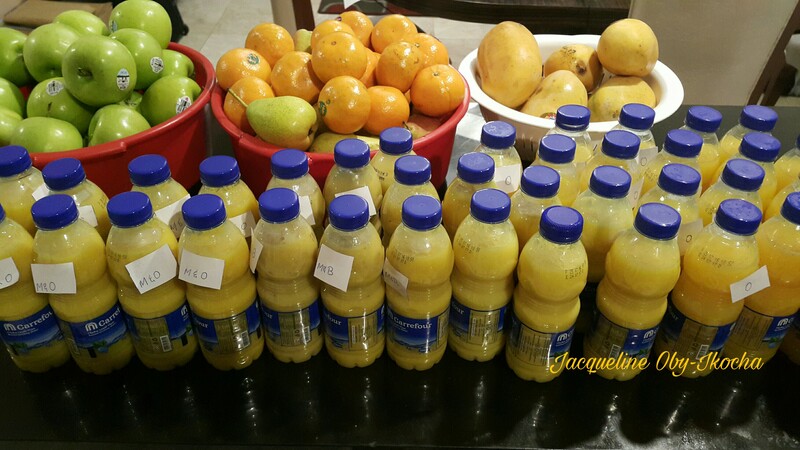 Now, we bulk purchase a variety of fruits, juice them, mix them, make smoothies out of different blends and bottle to freeze. 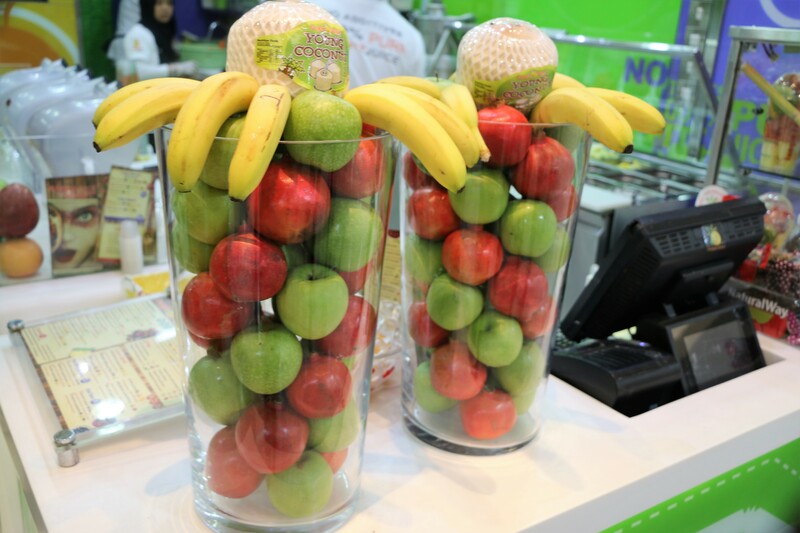 The children participate in doing this, from washing the fruits, to peeling, to juicing with the electric juicer…. The process is fun since they get to eat the sweet pulp from the fruits and to label their hard work. Each school morning, a bottle of frozen homemade juice is tossed into their lunch box (it retains its freshness from freezing and would have melted by break time) and they bring back the bottles, rinse it out with warm water and reuse. How do you get your children to assist in the house? I love to learn from others.